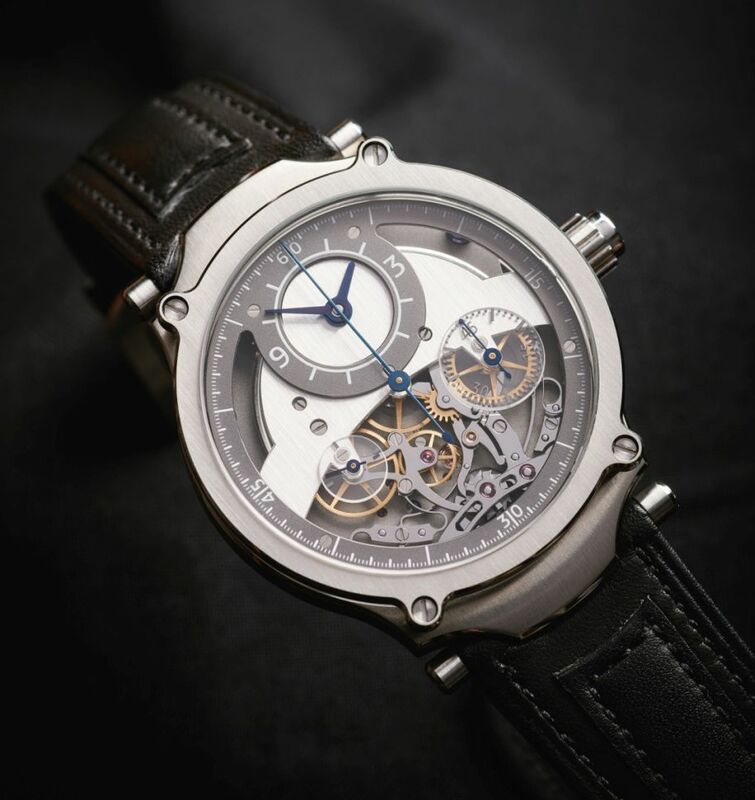 Sylvain Pinaud is pleased to present the Monopoussoir Chronograph, a unique piece created during over the course of a year and which allowed him to be laureate of the contest Un des Meilleurs Ouvriers de France. 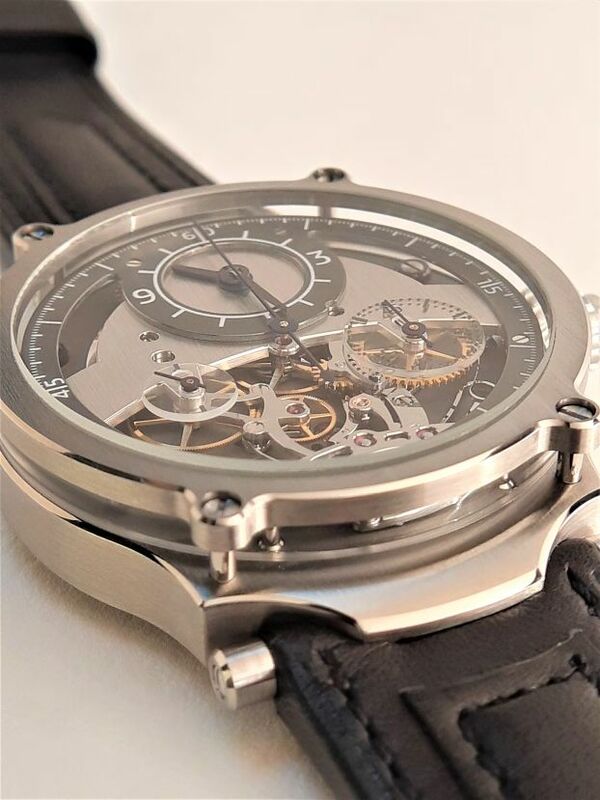 Created as part of the contest, this timepiece is an opportunity to face a challenge and especially to fulfill Mr. Pinaud's vision of watchmaking. 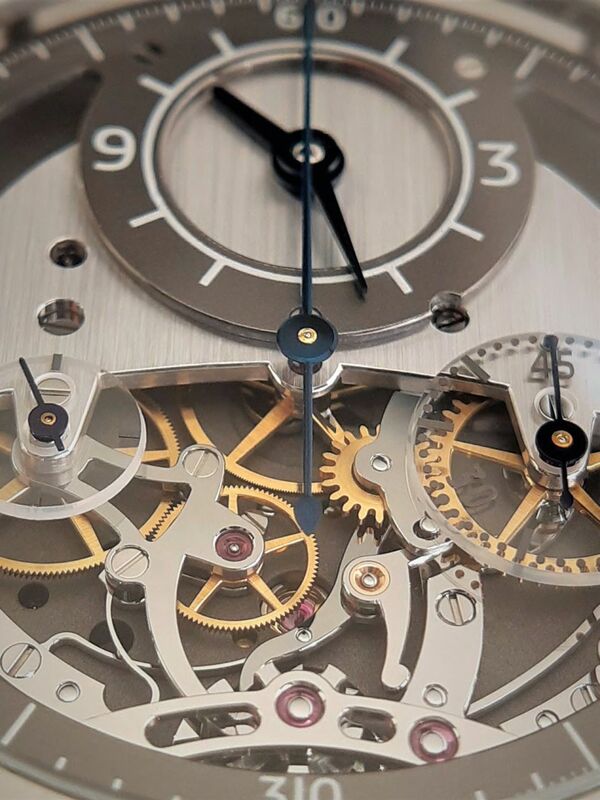 From the choice of movement, an ETA 6497, only the gear and the escapement are preserved. The rest: bridge, mainplate, winding system and balance wheel are completely rebuilt and manufactured to fully integrate the chronograph. The case, in titanium or in 18kt gold, measures 42mm x 12.5mm. It has double sapphire crystals and it is water resistant to 30 meters. 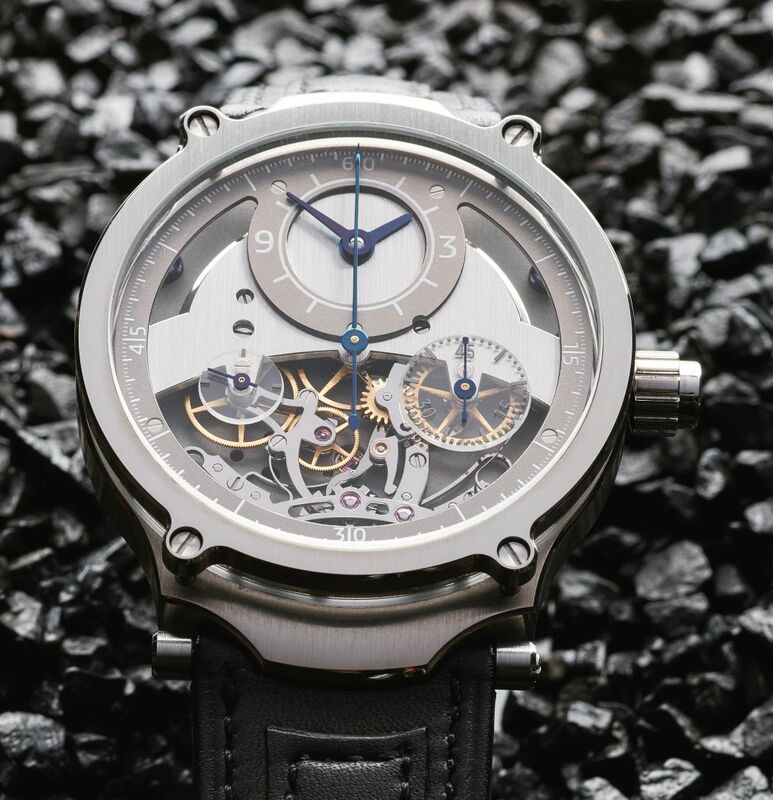 The Swiss hand-wind movement beats at 18,000 vph and a has a power reserve of 45 hours.Variable inertia balance. Single pusher column-wheel chronograph with horizontal clutch and column wheel. 45 minutes counter. All of the steel parts are mirror-polished and bevelled by hand. The wheels are also bevelled and circled. Different surface finish and galvanic processes are combined to accentuate contrast and depth. Anthracite gray and grained mainplate. Dials and rhodium colors are customizable. It comes on a bespoke black calfskin leather strap with a matching metal buckle. 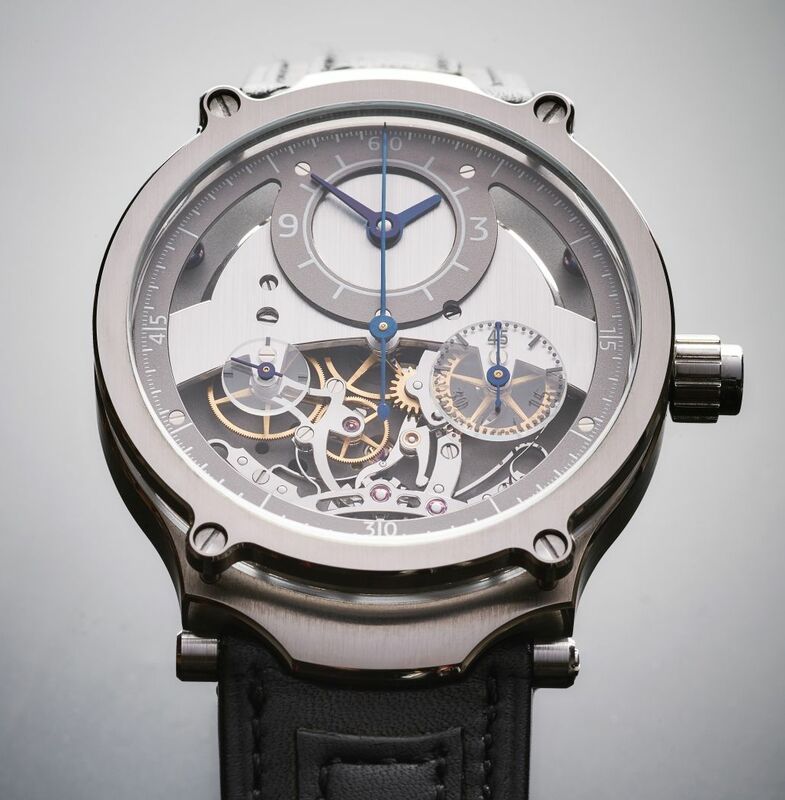 MSRP is 78,000 Swiss Francs for the titanium model and 88,000 Swiss Francs for the 18kt gold model. Next Topic: N E W M o d e l - TAG Heuer Connected Modular 45 "Golf Edition"